Balance due 6 weeks before arrival. 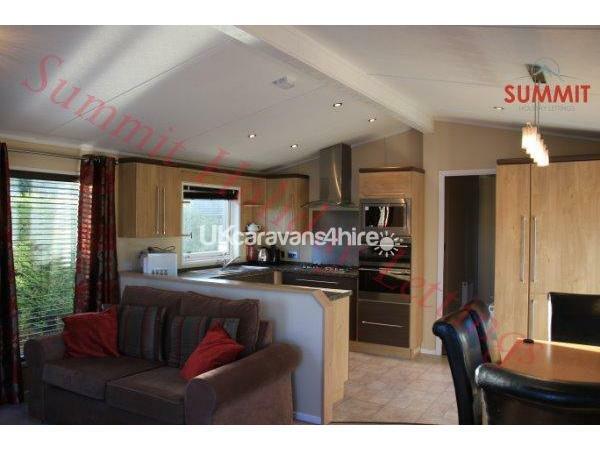 Non payment of balance on due date will cancel booking and caravan will be re-advertised. Deposit will not be refunded. 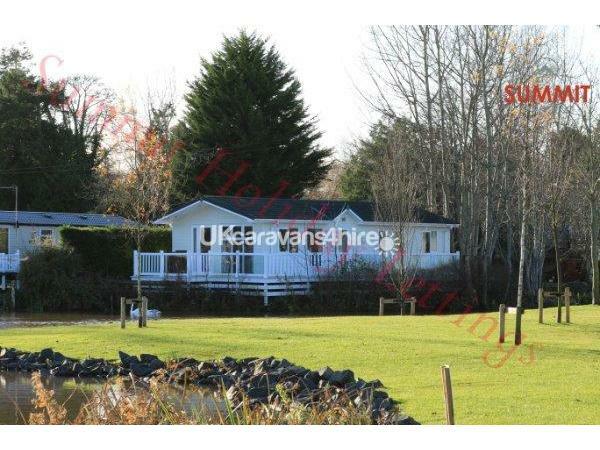 This exceptional lodge which sits beautifully on Peninsula Lawn a quiet area of Haggerston Castle. 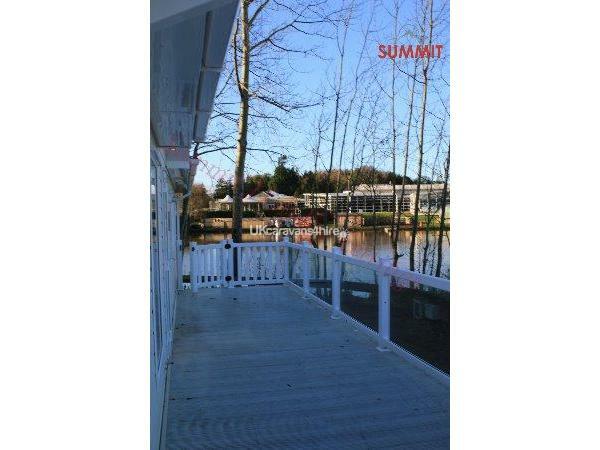 The Lodge has water to the sides and has lovely views of the lake and park. The lodge has 2 sofas in the lounge where you can watch the wall mounted TV. The lounge has French that open onto the veranda. 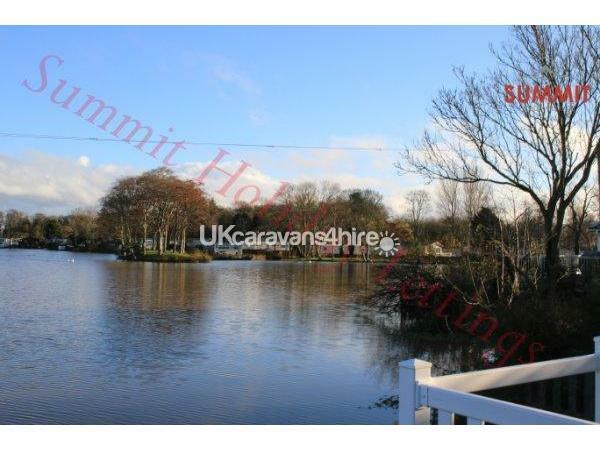 The dining table for 6 has lovely views across the lakes and the fully fitted kitchen has a fitted fridge freezer, double oven, 4 ring hob, sink and draining board, microwave, toaster, kettle and all the pots and pans you will need whilst on holiday. 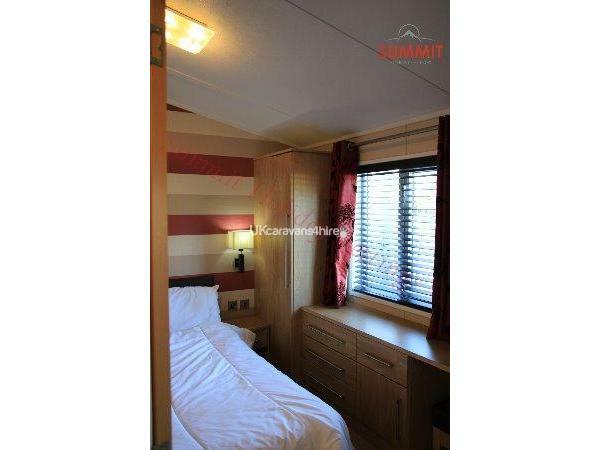 There are 3 bedrooms, 1 double which has a range of drawers and wardrobes and dressing table and stool. 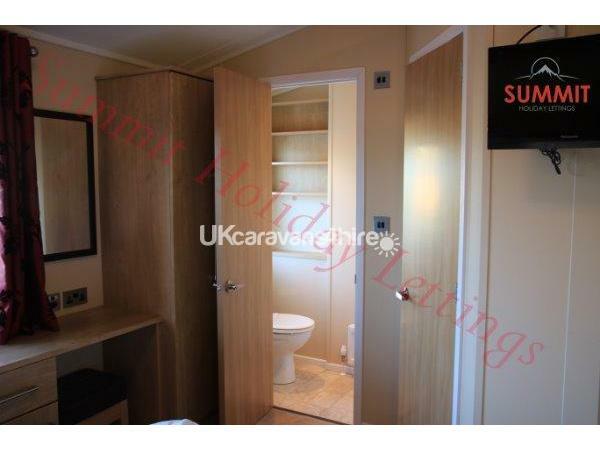 There is also a handy en-suite toilet and sink. 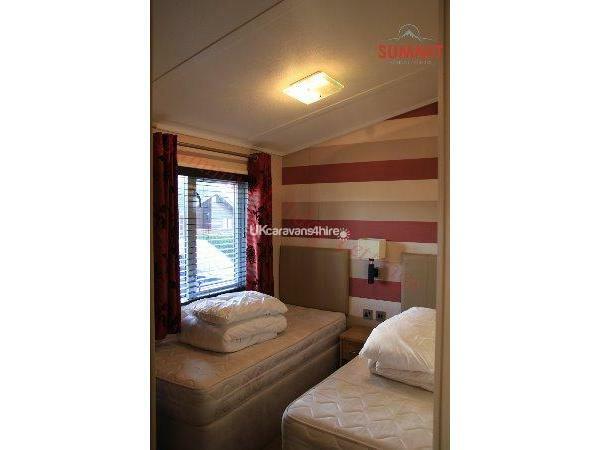 The other 2 bedrooms are twins Both rooms are fitted with wardrobes. There is also a bathroom that has a large shower and large sink for you. The Lodge has a veranda 2 two sides, where you can sit and enjoy the views and a glass of wine. There are table and chairs for you to use and the veranda has a safe balustrades and a lockable gate. Lake Lodge is a 5 minute walk to the main entertainment area You will need a Funworks Pass to enjoy the facilities. These are available from the main Haven reception at an additional cost.The park has 2 indoor pools, one with a slide. There is the Live Lounge which has entertainment during the day and night for all the family. The Mash and Barrel is a restaurant and bar with a large open air terraced area overlooking the park and lake. There is a Papa Joe's Pizza take away, Burger King and a fish and chip shop on site too as well as a Chinese Restaurant and a cafe on the golf course. Why not spend some time pampering yourself. and enjoy sometime at the Spa beauty Salon. The amusement arcade is also located at the main area and is always a favourite with adults and children. ..................Plus loads more. Please see the Whats On Guide. Just come home from a fantastic stay at this property. Before going I had great communications from Kevin and Marion which made planning and booking easy. 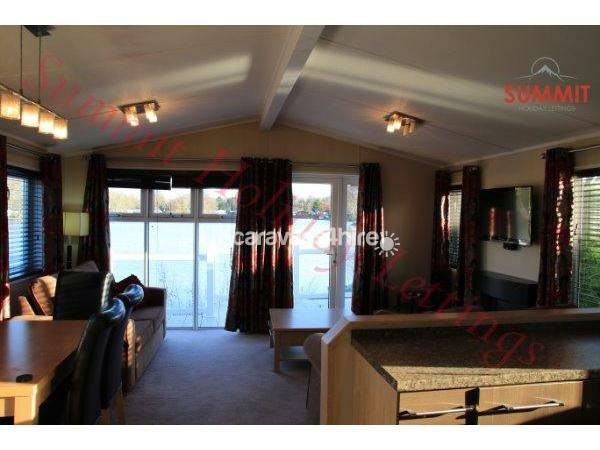 The property is in a superb position in the park and is of a 5* standard. The weather was kind and we enjoyed our evenings and breakfasts on the decking overlooking the lake, joined by the family of 11 swans that swam past on a regular basis. I had two 14 year olds that never missed their WiFi. Enjoyed family time. Thank you, we will definitely return. Fantastic lodge it was a dream staying here!!!! The lodge was on the lake edge. How wonderful drinking early morning tea watching the swans and their family enjoying the water. The owners were so helpful nothing was too much trouble. The home was perfect, lots of equipment for use, exceptionally clean. A big thank you to Kevin and Marion for allowing us to enjoy their lodge. 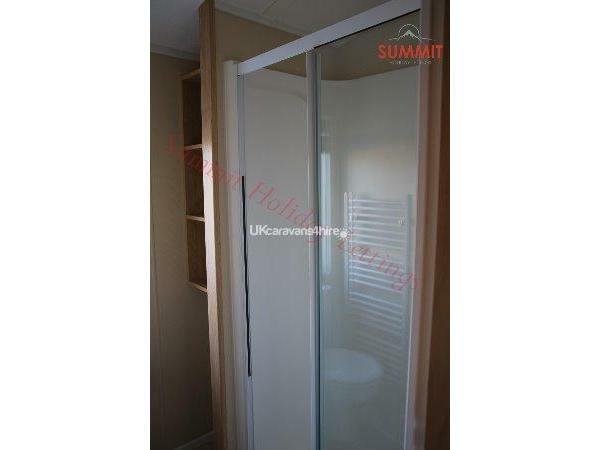 From first booking our stay here to leaving the whole process was so easy and straightforward. Any questions I had during the booking process were quickly answered by Kevin, likewise when we were there Kevin went above and beyond with any questions we had. We have two young children (5mth and 2years) and the lodge was ideal. It was very spacious, and a short walk to the facilities. The view from the lodge is beautiful and my little girl loved standing watching the ducks! The lodge was spotless on arrival and very well kept. We will certainly be return and staying in the lodge soon! I cannot recommend this lodge highly enough. 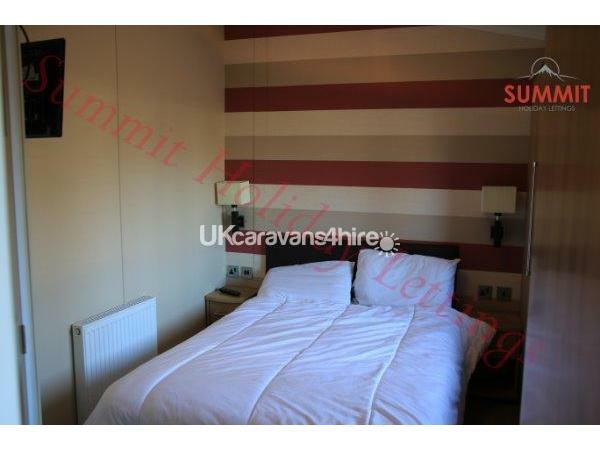 Fantastic lodge very spacious and beautifully clean. The lodge has all the amenities you could possibly need it's like home from home. The beds were so comfortable i have never slept so well. 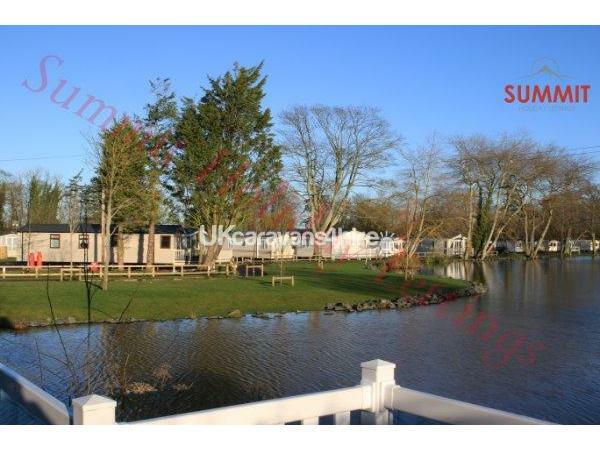 The lodge is ideally situated with excellent views in a beautiful quiet spot. Booking with the owner was so easy himself and his wife were very helpful friendly people. 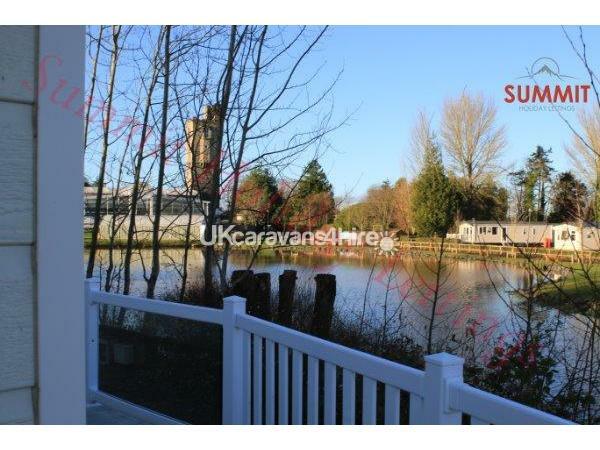 I would highly recommend this lodge to anyone who wishes to holiday at haggerston castle. I can't wait to book again next year. AMAZING stay thank you so much Kevin and Marion. See you again soon.